The sophomore sitcom, The Neighbors, has been called “one of the warmest, goofiest, funniest comedies on television” and “a hoot” by critics. There is also much love for the reality show Shark Tank , which has been dubbed “the American Idol of venture capital.” For the first time, these ABC shows which air back to back Friday evenings will take part in a special crossover episode. Tim Jo, who plays quirky alien Reggie Jackson, took some time to answer some questions about the show and this buzz worthy episode. How did the cast find out about this awesome idea of doing a crossover episode? I overheard Dan Fogelman (series creator) talking about how Debbie and Larry’s search for a job would be a point of focus this season. And with our move to Friday, I heard him offhandedly mention that a crossover episode would be fun to do with our timeslot neighbors. Our show has such a quirky/meta sense of humor, I am so glad it worked out. 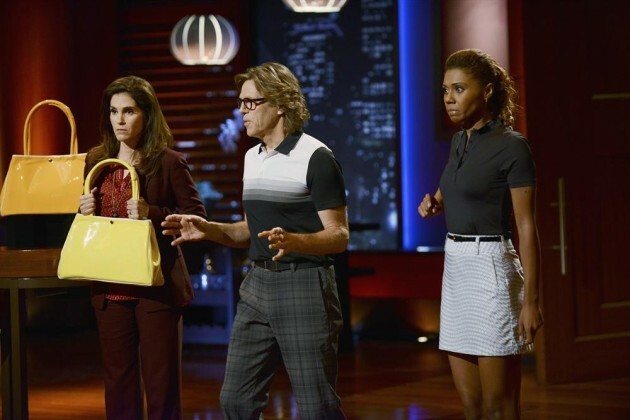 Based on the previews, it looks like Debbie will be the one facing the Sharks? Could you provide additional insight about the plotline of the episode, without giving away too much information? Reggie doesn’t make an appearance in this episode, so I made an effort to stay as spoiler free from the episode myself! I couldn’t be more excited to watch this episode for the first time with everyone else. I will say this. 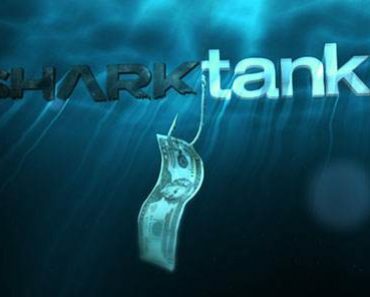 The Shark Tank stuff is brilliant. The clips I got to see involving the side story with Abby and Amber are just so sweet and funny. It’s a really well rounded episode. Which of the Sharks will we be seeing on tonight’s episode? Mark Cuban, Mr. Incredible, Robert, Daymond and Barbara. I am such a fan of the show, I’m a little sad we won’t see the always lovely Lori. What was it like meeting them on set? We sent a very small skeleton crew to the Shark Tank set, so I didn’t get to meet them! But I really look forward to bumping into them someday. Do you like the direction the relationship between Reggie and Amber is heading? It looks like you have two have great chemistry. It’s definitely not your normal approach to a relationship and that is what makes it so much fun. I feel so lucky that people have latched on to these two as a couple. It’s just a pure and honest relationship. But I’ll warn you- there will be a few bumps ahead, especially with Jane, my soulmate, cruising around the neighborhood. The writers are doing an exceptional job handling this relationship in such an honest way, I think our viewers are gonna be in for quite a ride. Have you been recognized more since The Neighbors has aired? We love the new theme song performed by Simon Templeton. How did this idea come about? It was a clever device that replaced the voice-over exposition at the top of the episodes in season 1. And since the show loves to play with 90’s sitcom references and homages- a little song number was all too appropriate. Where would you like to see the character of Reggie go in the future? If and when Reggie figures out this whole love and relationship mess, I’d love to see him explore some hobbies. Is he good at sports? Does he join a team? Does the guy have alien superpowers? Questions abound! Can you provide any upcoming spoilers? Our fans love a good spoiler! Next week (November 15), my soulmate Jane will be returning. She’s gonna try to stir things up… in a way you won’t be expecting.